If you are an American Citizen looking to travel outside of the United States, chances are you’ll need to obtain a passport. It can be a few weeks from the time you apply for the passport to the time you receive the document, so anyone looking to leave the country should plan accordingly. In very limited circumstances traveling to Canada and Mexico may be done without a passport, but it’s important people understand when and who can pass through those requirements. Bottom line is, before you travel, it’s important you are aware of the rules, regulations and requirements for traveling outside the country. What would you need to obtain a passport? As a general rule, passports are required to enter into a foreign country. Those that travel to Canada, Mexico, U.S. Territories or The Caribbean may only need a passport card if they are traveling to these countries by land or sea. If visitors from the U.S. are flying to these destinations, they must have a passport. Passport cards were created to make entry into Canada, The Carribean, Mexico and U. S. Territories easier and less expensive. 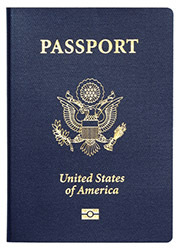 U.S. Citizens can choose to have both a book-style passport and a passport card. Some residents who live along the Canadian border can enter Canada (when traveling by land) with a state-issued enhanced drivers’ license. Children under the age of 16 in states that allow enhanced drivers’ licenses for entry need only to present a certified birth certificate. It’s possible that in the near future, some residents of certain states may need a passport in order to travel domestically. New York, Minnesota, Louisana and New Hampshire’s drivers’ licenses don’t meet the qualifications established by the Real ID Act. Unless those states either comply with those regulations or have an extension to meet those qualifications, residents of those states will need to present passports to TSA when boarding airplanes to travel from state to state. Anyone unsure of documentation needed for their traveling should inquire with the U.S. Department of State.